If you’re very lucky, you’ve never seen one. If you’re very unlucky, you might have moved into your new place before realizing they surrounded you. Rats are a classic feature of life in a port city, and Vancouver is no exception — as many unfortunate UBC students have discovered. 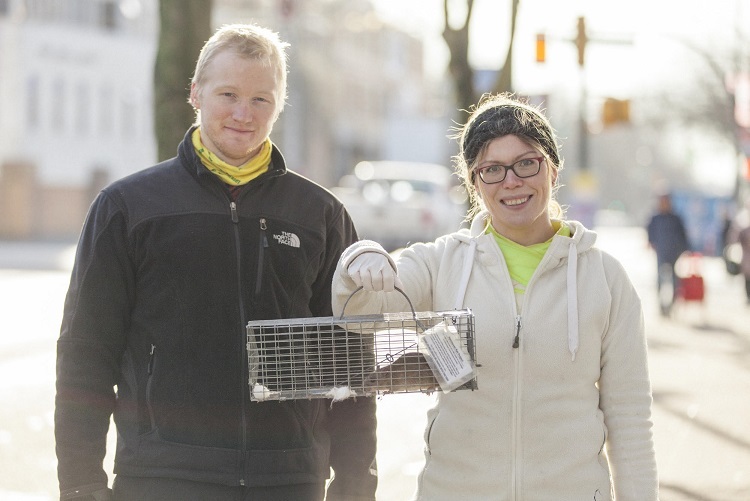 You might never want to think about rats, much less study them, but that’s exactly what UBC graduate students are doing in the Downtown Eastside with their Vancouver Rat Project. 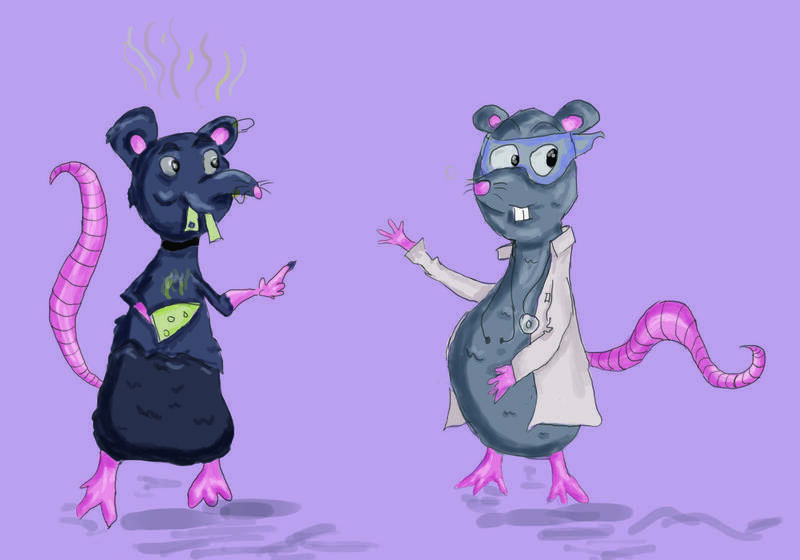 To help explain why anyone would want to spend time with these creepy rodents, UBC’s School of Population and Public Health (SPPH) held a talk on rats and public health in Vancouver as part of their Grand Rounds lecture series. An archived livestream of the talk can be found on the SPPH’s YouTube channel. First, UBC’s Dr. Jennifer Gardy, an assistant professor in the SPPH, explained the concept of One Health. This public health framework emphasizes the interconnectedness of people and their environment, especially animals. This is important, Gardy explained, because many modern disease outbreaks emerge when diseases from animals make the leap to humans. In the One Health approach, something called “holistic monitoring” is used — meaning research and observation is done across disciplines and biomes; animals and humans are observed. Some scientists believe this type of monitoring could predict the next major pandemic, but others like Gardy disagree, citing the complicated web of factors that combine to create pandemics. All scientists agree that it helps to catch pandemics early so they can be addressed and hopefully stopped. Gardy describes the One Health approach as similar to the classic Bob Marley song “One Love:” Let’s get together — by implementing holistic monitoring programs — and feel all right, as opposed to all sick and wrong. Next up was Dr. Agatha Jassen, the head of the BC Centre for Disease Control’s Virology Lab program, to explain in appropriately gory detail how exactly people get sick from rats. A big factor is rats carrying ticks and fleas, which then might infect other animals like rabbits and cats. Another is rodent urine and feces, which can contaminate food and water and even aerosolize into the air we breathe. Does this mean pet rats are a concern? “Every once in awhile there is a case of a [pet] rat having a bacterial pathogen,” explained graduate student Kaylee Byers in an interview with The Ubyssey, noting that pet rats aren’t usually a cause for alarm. Kaylee Byers and Michael Lee — both members of the Vancouver Rat Project — then presented their research and some early findings based on studies they conducted in the Downtown Eastside. This area was chosen because of its proximity to an international shipping port, as well as the high rate of homelessness, which increases people’s risk of getting infected by a rat. In phase one of the project, conducted in 2011 and 2012, the Vancouver Rat Project collected data on what diseases, if any, the rats of the Downtown Eastside carried. Results showed that these rats did indeed have pathogens and that incidents of infection appeared in clusters. Following these results, Byers and Lee had more questions: first, would pest control practices affect these pathogens at all? And second, how did the ubiquity of rats in the Downtown Eastside affect residents’ experiences? The first question was approached using something called a “Rat Safari.” At 7 a.m., Byers and Lee would set out to check rat traps, using bite-proof gloves to catch the rodents in order to collect samples. The students were looking for two diseases in particular, MRSA and leptospira. Although MRSA can be detected with a simple swab, leptospira testing requires a urine sample, which is much harder to obtain. The results from the MRSA tests showed pest control (consisting of culling infected rats) had no effect on that disease. In the case of leptospira, however, pest control actually seemed to increase the incidence of the bacteria — definitely not ideal. With this research, scientists are now aware that indiscriminate culling might harm more than help. This is crucial information for preventing a possible pandemic. For their question about how rats affect the residents of the Downtown Eastside, Byers and Lee partnered with the Vancouver Area Network of Drug Users in order to conduct a series of 20 interviews with community members. What they found was striking — nearly every resident interviewed had at least one “horror story” of a traumatic encounter with rats and many expressed a sense of exhaustion at how commonplace rats were in their lives. The interviews reflected residents’ concerns about rats. Some residents were worried about rats biting children and some lost sleep out of a need to “guard” their partners from rats on the street at night. Despite these notable psychological impacts, Byers said the issue of rats is a relatively unimportant one for Downtown Eastside residents — their primary concerns are larger, like the problem of homelessness. Some residents were also fairly engaged in the project, and Byers and Lee even overheard them telling other community members about the rat traps and the research being done. In the future, there will hopefully be more opportunities for engagement in and beyond the community. Lee is developing a broader monitoring program for rats — it “will involve things like citizens contributing and letting us know where they see them, so hopefully at some point you can participate by letting us know where you see rats, and how often,” Byers explained. How does all this information affect UBC students, and how justified is a fear of urban wildlife? Byers says that it is possible that animals like squirrels and raccoons could carry diseases, since rats do. Lee explained that the main concern with racoons is a roundworm they carry, which becomes concentrated in their communal racoon toilets. “They’re quite vicious,” added Byers, advising students not to try befriending the garbage-obsessed animals.